Congresswoman Tulsi Gabbard of Hawaii has stirred up the US foreign policy establishment by going on a private fact-finding mission to Syria. Gabbard has opposed the US policy of regime change in Syria and championed a bill to stop arming terrorists there. Gabbard’s trip to Syria and Lebanon was made public on Wednesday by Foreign Policy, a magazine close to the very interventionist establishment in Washington long criticized by the Hawaii Democrat. 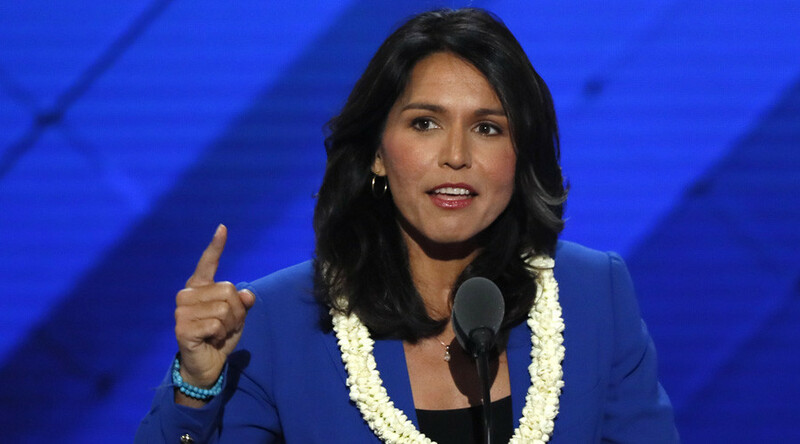 A veteran of the Iraq War and major in the Hawaii National Guard, Gabbard “has long been committed to peace and ending counterproductive, interventionist wars,” her spokesperson Emily Latimer said in a statement Wednesday. Gabbard has been a vocal critic of outgoing President Barack Obama’s policy of demanding the ouster of Syrian President Bashar Assad and blaming his government for the bloody war with Islamist rebels. "As a member of the Armed Services and Foreign Affairs Committees, and as an individual committed to doing all she can to promote and work for peace, she felt it was important to meet with a number of individuals and groups including religious leaders, humanitarian workers, refugees and government and community leaders," Latimer said in a statement. We’ve spent trillions on regime change wars while communities across our nation face a severe lack of resources and dire need. Middle East pundit Charles Lister, among others, dubbed Gabbard an “Assad apologist,” while Washington pundits wondered aloud if she met with the Syrian leader. Latimer did not provide any details of Gabbard’s itinerary to the media, citing security concerns. One of the stops on the trip was Aleppo, AFP reported on Thursday, citing the Syrian daily Al-Watan.According to the paper, the US delegation that included Gabbard visited the historic citadel and eastern parts of the city that were held by Islamist rebels until December 22. The surfing congresswoman famously resigned as the deputy chair of the Democratic National Committee last year and endorsed Bernie Sanders for the party presidential nomination. In November, she accepted an invitation from President-elect Donald Trump to discuss Syria and the US efforts to fight Al-Qaeda and Islamic State (IS, formerly ISIS/ISIL), sparking speculation that he might appoint her to a Cabinet post. 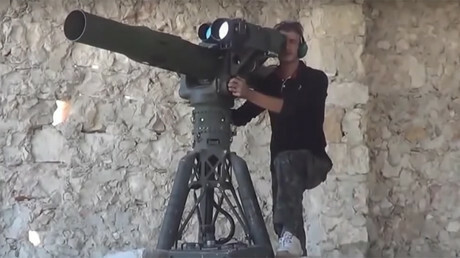 On December 8, Gabbard introduced the Stop Arming Terrorists Act, which would prohibit the US government from arming and funding “Sunni militant groups working to overthrow the Assad regime, such as the Levant Front, Jabhat Fateh al-Sham [Al-Nusra Front], and al Qaeda,” in the words of Foreign Policy.